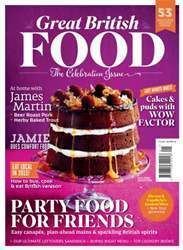 Inside our bumper celebration issue – over 50 delicious recipes to celebrate the party season, plus make ahead mains, easy canapés, show-stopping cakes and our best ever Boxing Day buffet. 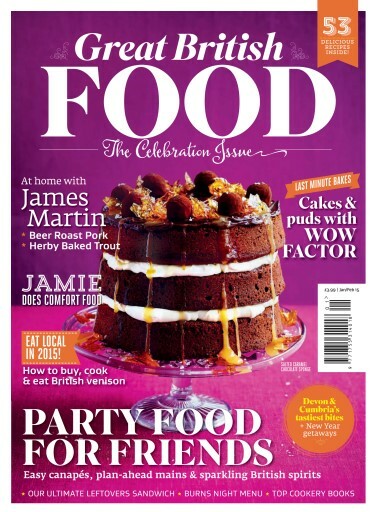 James Martin shares four of his favourite home-cooked dishes, while Jamie Oliver has comfort food covered, and our new columnist Valentine Warner talks game and the great British countryside. 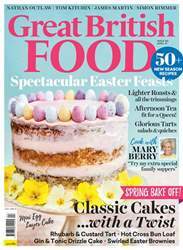 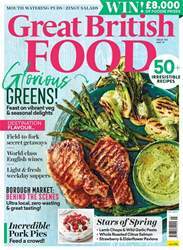 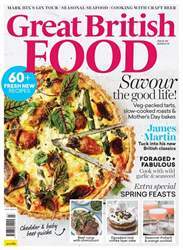 Also: gourmet travel to Devon and the Lake District, new ways with venison and the best cookery books of 2014.